While I was at an event last weekend I got into conversation where I was explaining to a group of people what the term IoT(internet of things) means. Since the term is used so broadly now I can see how people are starting to get confused about these things. Luckily I am a huge tech nerd and I get this question more often than you would think so I have a canned speech that I give out. I take the person through a IoT Journey starting with a basic thermostat and working up through Nest to the cloud and how inevitable there will be a AI that takes over the world. Just kidding. This in itself wouldn’t be blog worthy event but a very interesting conversation emerged about clothing. 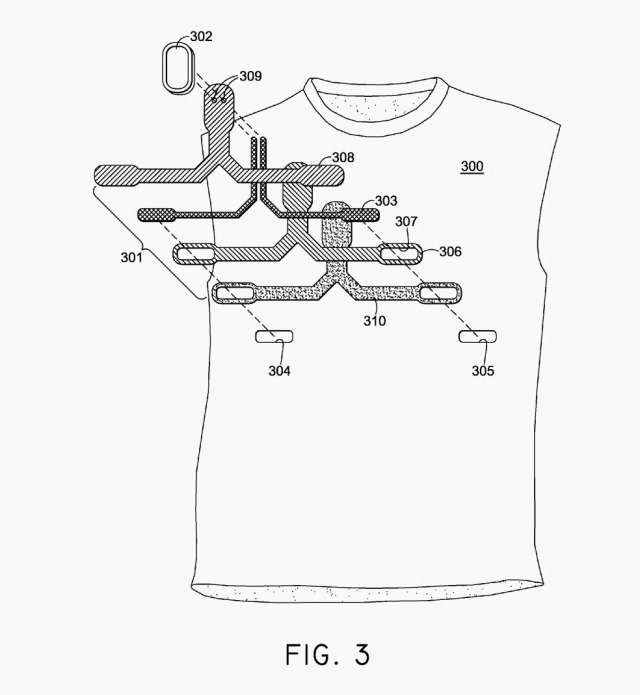 I have been following the smart/connected clothing market for some time. 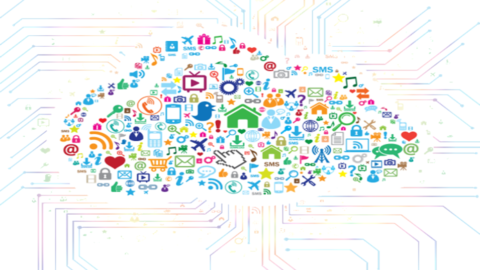 Most people think that IoT is only about electronics, but the reality is IoT is really anything that can send data back to a data repository to be analyzed and/or displayed. So is your bra with a sensor an IoT device? I am going to take a boarder view and say if tracks information and then sends it somewhere to be analyzed/displayed its IoT. This gives us a broader group of clothing to look at. Given the fact that the average use of a fitness tracking device is less than three months before individuals stop using them you could think that wearables and smart clothing is a fad. I can guarantee you this is not the case. As sensors become cheaper and more ubiquitous the reality will be they will be sewn into the clothes we wear. It is only when the user doesn’t have to do something to incorporate this technology such as strapping on a watch or pedometer that it will proliferate. 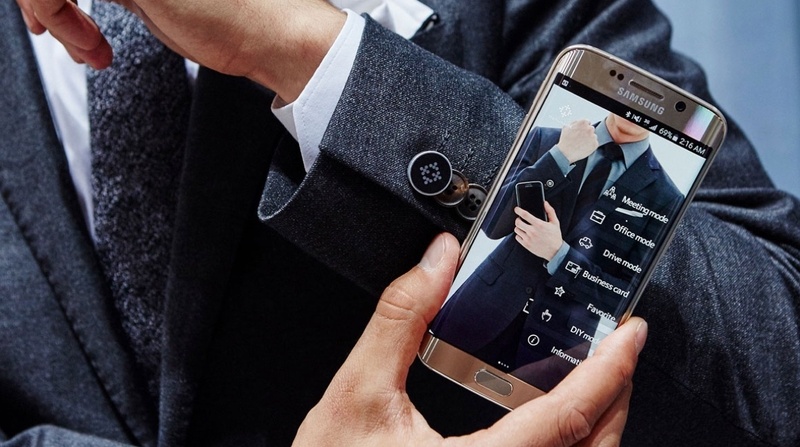 It’s this frictionless tracking ability that will really lead the evolution of smart clothes. The common UX acronym KISS (keep it simple stupid) and the phrase “Don’t make me think” fit perfectly here. If you don’t make the user have to do anything to achieve the desired outcome, then it will naturally prevail. So I decided to do a quick analysis of what is going on in the smart clothing market. Here is what I found. These two creative powerhouses have always had a close relationship. 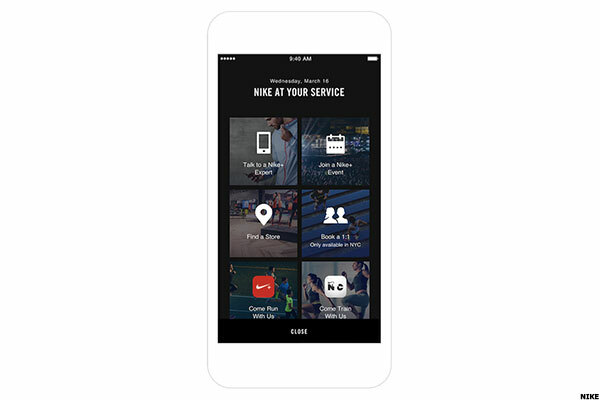 Nike started this whole fitness measuring business almost a decade ago, with Nike+iPod, a partnership with Apple. The FuelBand was released in early 2012 and it fared pretty well, grabbing 10% of the market by 2013, behind Jawbone and Fitbit. But as more and more companies joined in the fitness wristbands craze, the market quickly became saturated. And Nike concluded it no longer needed its own gadget. 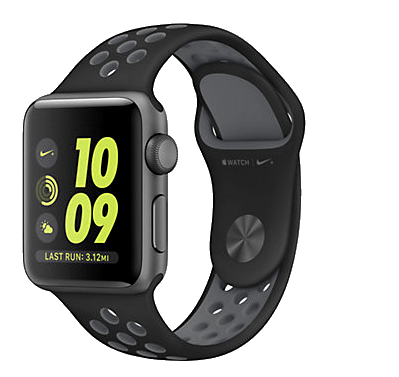 Recently they released the custom Apple Watch the Nike+ . Since this is not a piece of clothing lets leave it be and move on to clothes. 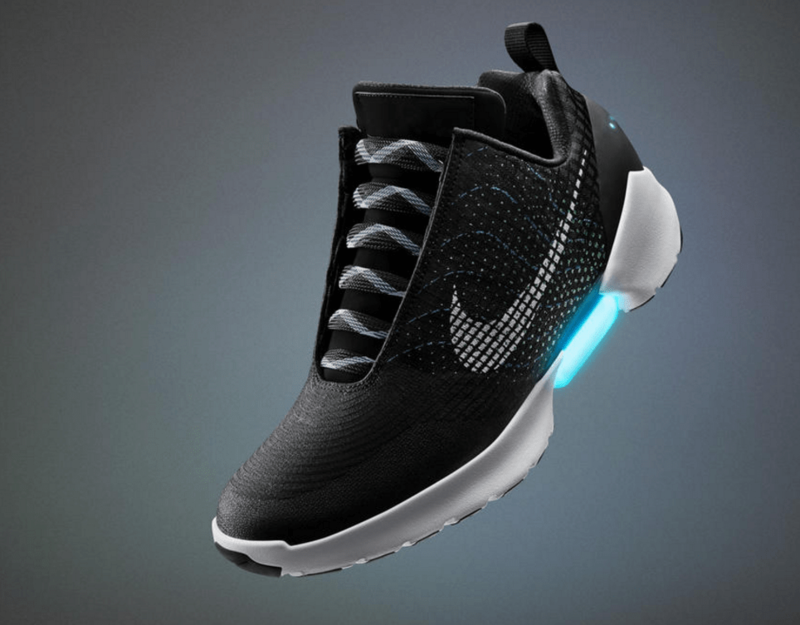 In Q1 2016 Nike announced the HyperAdapt 1.0, which is a self-tightening/lacing shoe. Once you step into it, your heel activates a sensor that adjusts the shoe perfectly to fit your precise foot shape. There are + /- buttons on the side that let you fine-tune it if you wish. It’s likely the realization of a long-term vision that started with the Reebok Pump sneaker at the end of the 80s. With so many strategic relationships already in place between Apple and Nike the continued development of Apple Music, Beats Wireless, and Ear Pods that can hold “1,000 songs in your ear”, measure heart rate all while Siri is whispering in your ear to “step your game up”, the future is theirs for the taking. Not sure if it would look anything like this but you could see it being close. 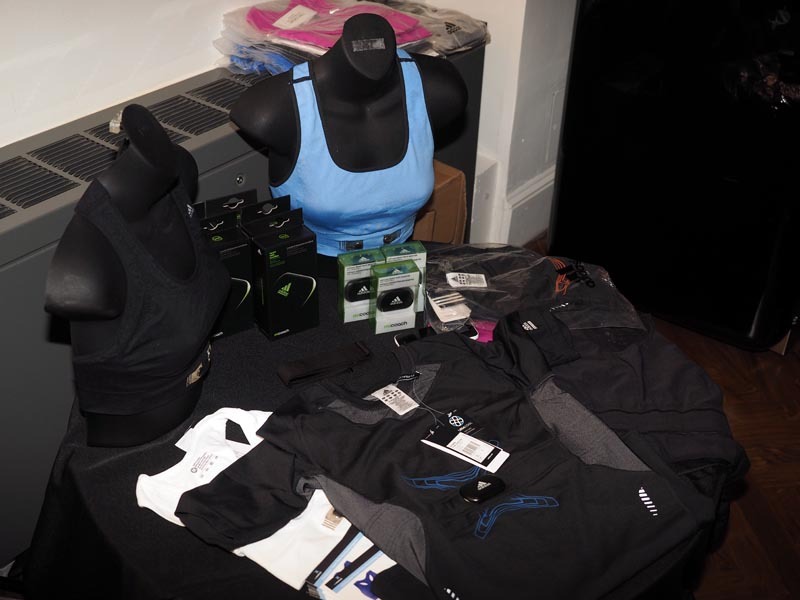 Teamed with NuMetrex the company’s wearable heart monitoring garments include a sports bra for women and an athletic shirt for men. Both garments employ “smart fabric” technology consists of special sensing fiber electrodes woven directly into the product. These fibers look like nothing more than a small decorative weave pattern, about the size of two postage stamps side by side and placed near the heart of the wearer. Of note, running a finger over these fibers, they feel like very soft cotton, posing no discomfort of any kind to the wearer. 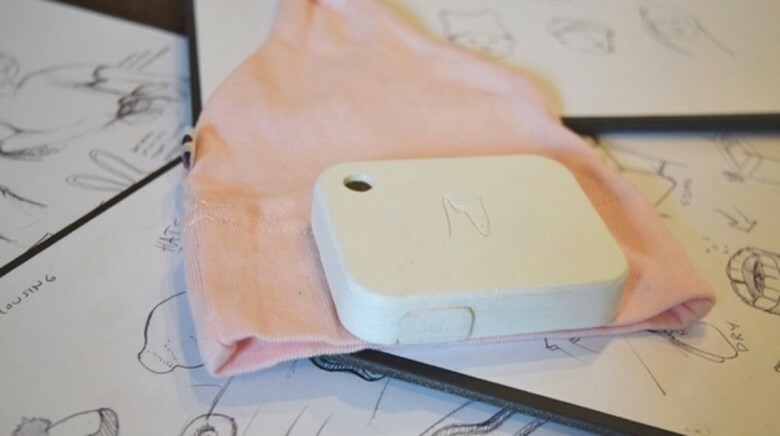 In 2013 They even went so far to create a wireless base station that serves as the gathering point for collecting wearable tech-derived data. This is a true M2M application — in this case a many-to-one set of interactions that are able to monitor all kinds of player activities, including heart rate as well as sweat and hydration levels. 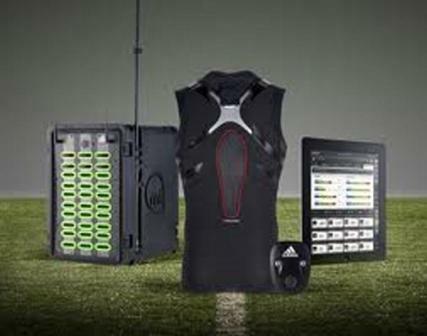 The adidas base station, soccer uniform and application that make up miCoach Elite are shown below.Underneath these M2M applications based on wearable technology there are also many collections of big data analysis at play. 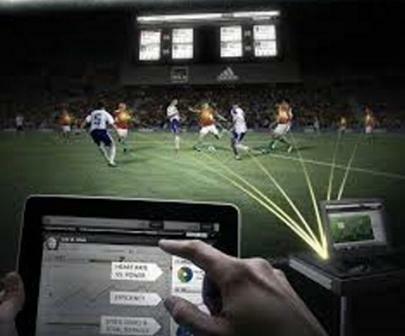 In the case of adidas, the analyses themselves also happen in real time although analysis can also be further conducted later on. On and in the field, coaches and doctors are able to monitor and react in real time to numerous player circumstances, both at the individual and team level. created specifically to measure, monitor, and manage the factors that determine how you feel. 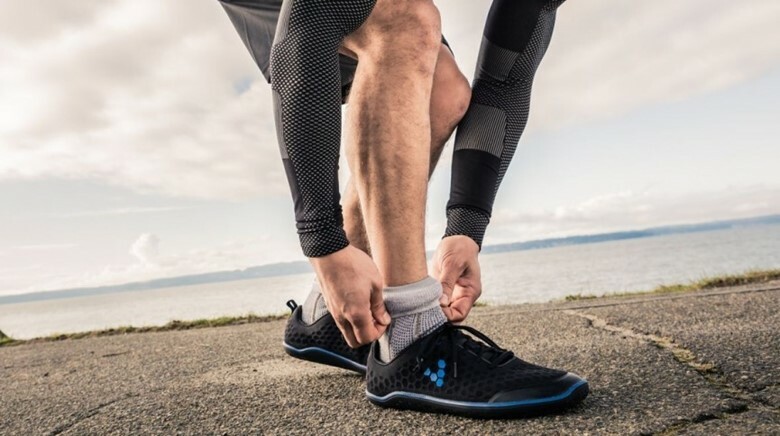 UA’s $150 smart shoes that come with a built-in sensor—­allowing youto run without any hardware, and that is where I know the biggest Gaines will be. Executives say this sensor-adorned gear can mold dedicated, higher-performing athletes, making them more conscious of their diets and the intensity of workouts. 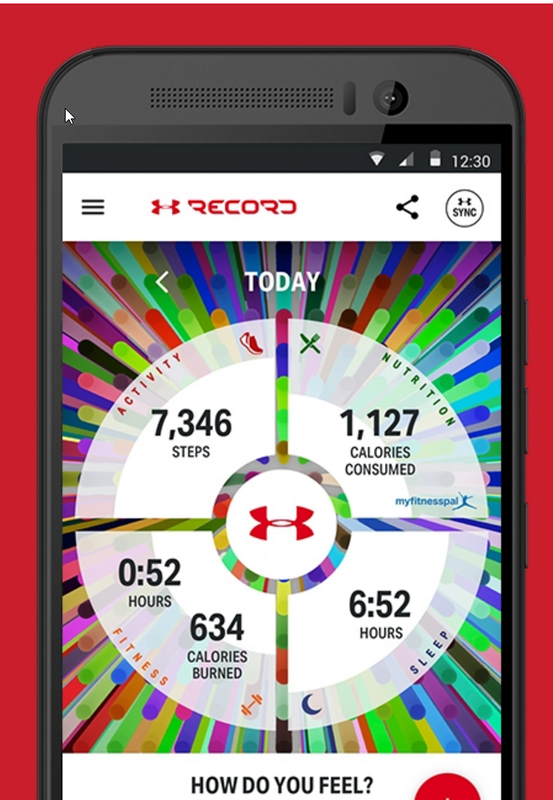 Under Armour has bet heavily on this strategy, spending $710 million in the past three years to buy just three mobile apps, including MapMy­Fitness. Together they create a digital community of 170 million members that log billions of activities and meals and offer continual advice. 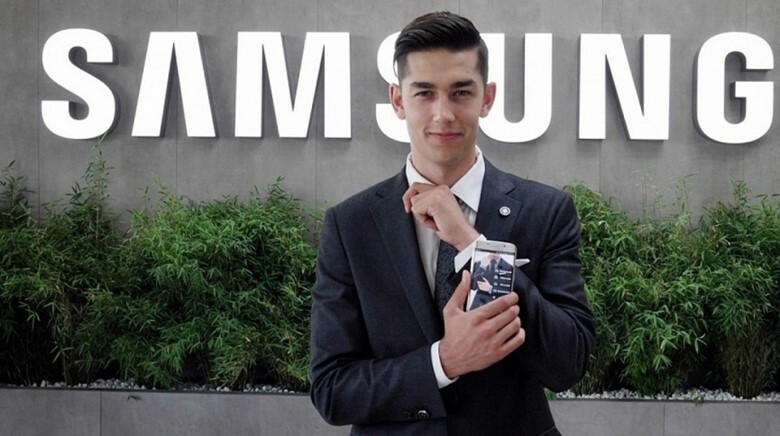 Samsung is going big on smart clothing and has already shown off its Body Compass workout shirt, which monitors biometric data, and a golf shirt in collaboration with Bean Pole Golf that includes weather and UV rating monitoring. The Korean giant also has an NFC smart suit, built in collaboration with Rogatis, that lets the wearer unlock their phone, swap business cards digitally and set gadgets to office and drive modes. It’s already sale in Korea for roughly $500, with no news yet as to whether it’s going to break out into other territories. 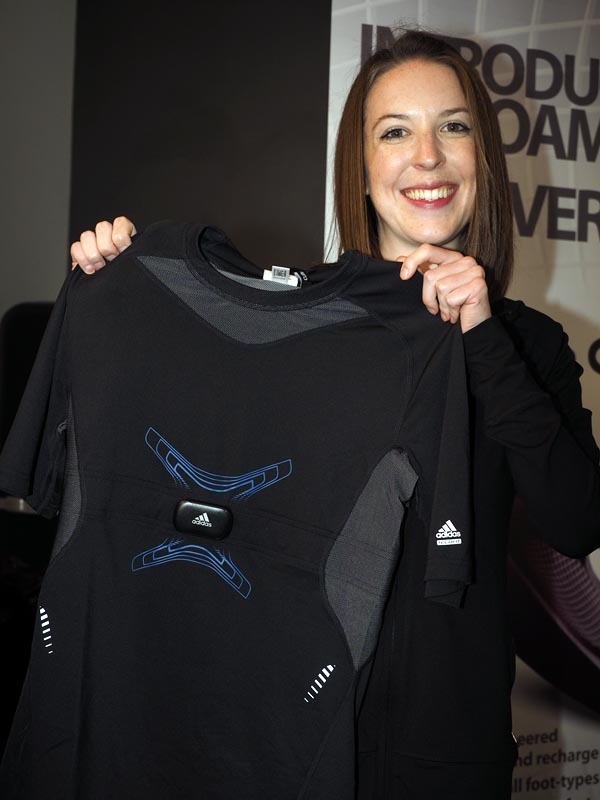 The Hexoskin is another one of the popular health related smartshirts and wearables coming out in 2016. The Hexoskin can measure heart rate, breathing rate, and also can tell how much sleep you are getting and how intense your workouts are. Some of the other features that come with the Hexoskin are a battery with 14 hours of life, Bluetooth capability and compatible with iPhone, iPad, and Android, and independently verified data. The OM Bra records distances run, breathing rates and heart rate, and even tells you when you’re recovered enough to head back to the gym. 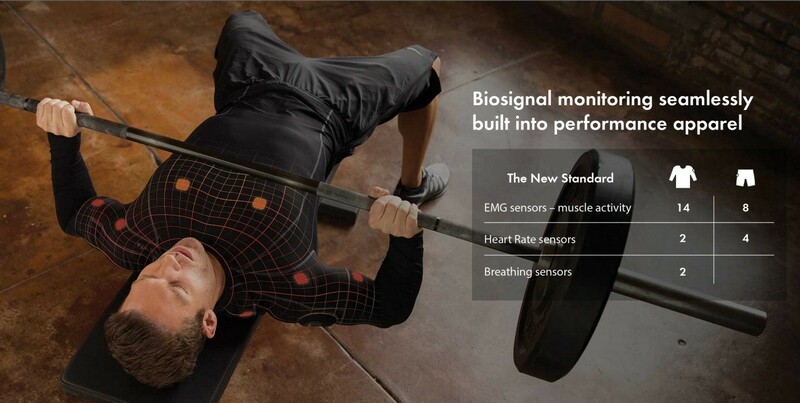 And it links it all up with all the fitness platforms you’d expect, just in case you’re not that into OMsignal OMrun. The bra is adjustable at almost every thread with straps, padding and cups all designed to fit your needs. Can I pay by cuff? 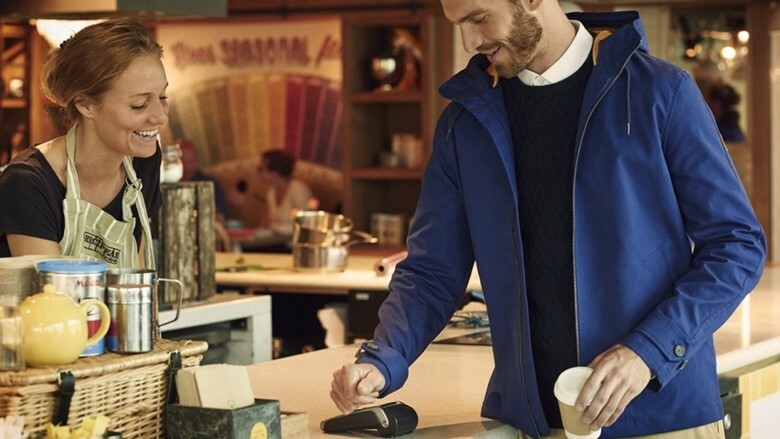 Barclaycard and Lyle & Scott recently teamed up to design a contactless payment jacket powered by bPay. The Contactless Jacket, which features the same contactless payment chip found in debit/credit cards discretely hidden in the cuff of the right sleeve, allows the wearer to pay for anything up to £30 across 300,000 shops, bars, restaurants and stations around the UK. The double-faced, hooded jacket is available from the heritage brand in Admiral Blue and True Black online, or if you happen to stumble across Lyle & Scott’s Carnaby Street store. From the makers of the Lumo Lift posture tracker, these smart running shorts and capris pack in a sensor that can monitor a host of metrics including cadence, ground contact time, pelvic rotation and stride length. The smart running gear supports real time coaching with feedback sent through to your headphones to help improve running form and reduce the chances of injury. There’s no change on the battery front either, giving you an impressive one month off a single charge. If you don’t want to buy the shorts, there’s also the Lumo Run sensor that can smarten up your current running kit. The company has been able to win all kinds of technology industry awards since 2012. Again, this is one of those companies that like to deal in bulk orders and major companies. You can directly talk to representatives from AiQ Smart Clothing at the upcoming WT | Wearable Technologies Conference USA in San Francisco on July 9-10. The Mimo Smart Baby and Smart Nursery system is one that is certainly to be popular in 2016 and for some years beyond. The Mimo is a small onesie type outfit for the baby that has a small turtle looking monitor on it. That monitor is the most important and integral part of Mimo. The sensor is able to track sleep status, breathing, body position, and also allows for you to listen in on the baby. MonBaby by MonDevices is a product that recently was awarded and acknowledged at the recent Consumer Electronics Show 2016in Las Vegas back in January. The MonBaby sensor is one that is used with newborns. It has a smart button technology which is able to track the sleep patterns of young babies. The MonBaby is able to track sleep patterns, positions, and orientation and forward the information to a person or parents’ smartphone. Neopenda’s vital signs monitor is fitted inside a hat for newborn babies. It can measure temperature, heart rate, respiratory rate and blood oxygen saturation. It is being developed by a New York based health start-up of the same name, founded by Sona Shah and Teresa Cauvel, two Columbia University biomedical engineering graduates. Up to 24 baby hats can be wirelessly synced, via Bluetooth, to one tablet which will run custom software. The idea is that doctors and nurses can check up on the vital signs of the whole room at a glance and get alerts if any changes in temperature or heart rate, say, are cause for concern. They are still at prototype stage but could cost as little as $1 each. Docker Swarm Mode: Beggining Built-In Orchestration and Service CreationWhat’s A Workback Schedule?